Full-On Fit! 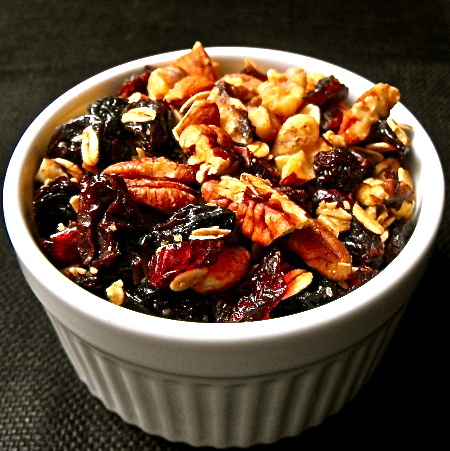 : Great website to make your own granola! So I was reading this article in the NY Times about different breakfasts that include all kinds of rich grains, and they mentioned an awesome website that allows you to create your own granola mix! I thought it was cool because you literally are able to choose your base and then add in any extras that you want with it. After you finished creating your own custom granola, the company ships it to you with your own customized label -- how cool is that?! I know I sound a bit dorky at how excited I am with this, but I just think it's such a cool concept. In the grocery store I like to go to the bulk foods section and mix up my own granola/granola bar, but sometimes I feel like they don't have all of the options I am looking for (and they definitely don't have a cool customized label!!!). I decided to check out the website, called Element Bars. What is great is that all along the process, while you choose your different ingredients, there is a Nutritional Facts column that shows you the changes to the nutritional value depending on what I add. At the end, when you are done adding ingredients and are ready to check out, the site has a pop-up menu that displays recommendations from experts on things you might want to add or change depending on the core you had chosen! How cool is that?! Lastly, you get to name your creation, and if you are having a hard time coming up with your own name, the site gives you assistance if you ask for it. The last step is to checkout and pay for your creation! I'm still trying to decide whether I am actually going to order it, but I thought it was a great site worth sharing! Have any of you ever used this site before? Or are you planning to?! That's a cool idea. I was kind of thinking of making my own trail mix from the bulk food section at the grocery store. Most trail mixes have raisins in them, which I can't stand and I just end up tossing them.